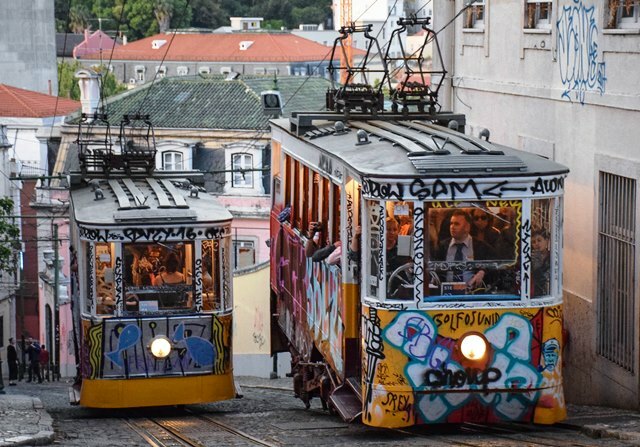 In our latest ‘World Travel Blogger‘ article, Canadian writer Cindy Baker shares her favourite things to do the beautiful city of Lisbon, capital of Portugal. 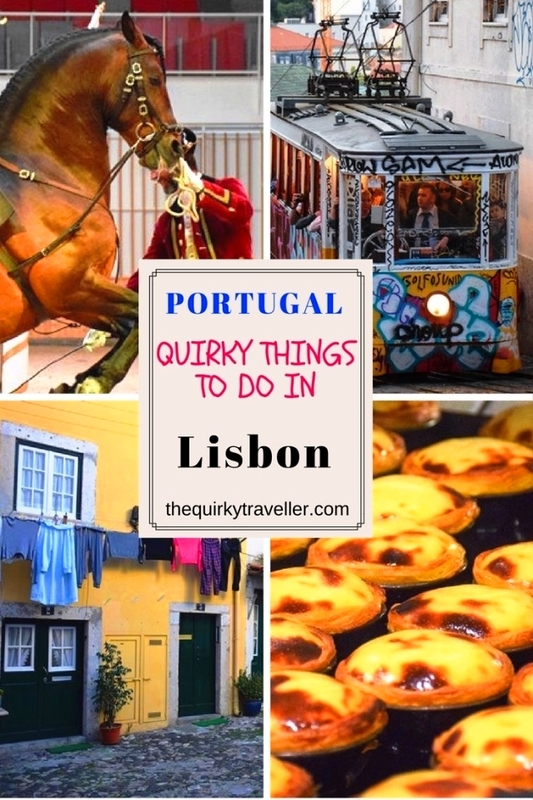 Quirky Travel Things to do in Lisbon. 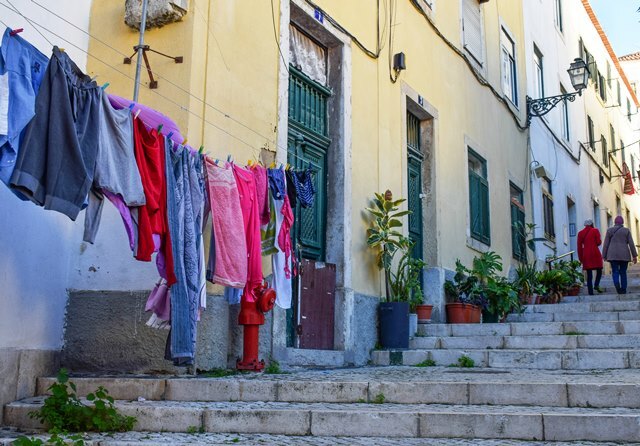 Imagine walking through Lisbon with a local friend who can show you places you’d never find on your own, all the while chatting about history, customs and photography. That was my experience on two customized tours with Lisbon Photo. 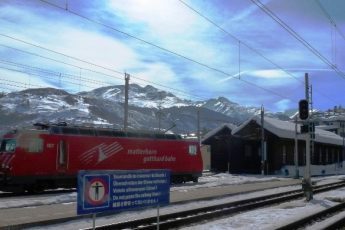 The tour offers the best photo opportunities, along with advice on camera settings and composition. I came away with unique photo memories and much improved photography skills. 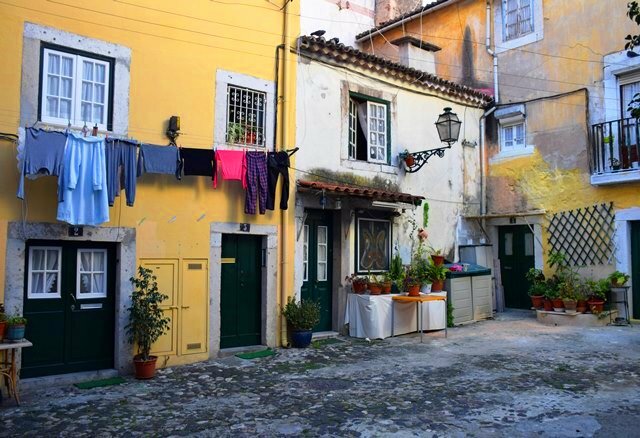 A maze of narrow, cobblestone streets and ancient houses, Alfama survived the massive earthquake of 1755 and is the oldest neighbourhood in Lisbon. As you wander the streets, look for the ladies who serve ginja through the windows of their living rooms. Ginja is a liqueur made from sour cherries, mixed with brandy, water, cinnamon and a lot of sugar. A typical drink in Lisbon, it’s also what your Grandma would serve to cure ailments of the body and heart. Street art, as a form of self-expression, has long been part of Lisbon’s culture. 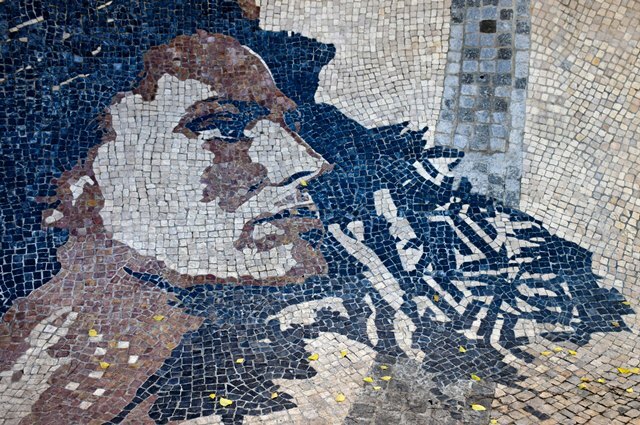 This mural by famous urban artist Vhils is made of cobblestones and features the iconic fado singer Amália Rodrigues. Street art is sprinkled throughout the city. A good place to start is the open-air gallery alongside the steep Gloria Elevator to the Chiado District. The Portuguese School of Equestrian Art seeks to conserve the pure blood Lusitano horse and a thousand year old riding style started by the country’s cavalry. Lusitano horses are ideal for equestrian art because of their flexibility and calm character. 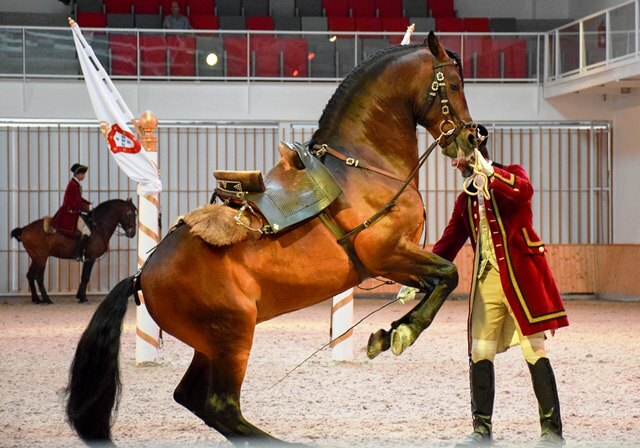 During performances, the horses perform spectacular leaps in the air and synchronized dressage choreography set to classical music. 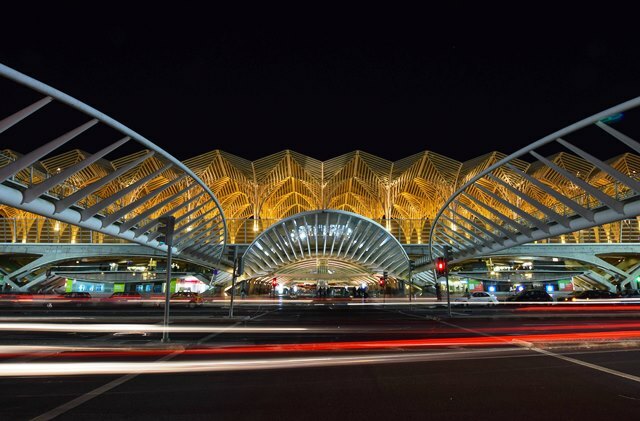 One of the most stunning modern sights in Lisbon is the Oriente Train Station. It was built by master architect Santiago Calatrava, known for his gleaming sky-high designs. The station features a glass and steel canopy, made to look like a row of trees, presenting quite a contrast to traditional Lisbon. Most visitors to Lisbon will take photos of the skyline with the huge white dome rising high above the tangle of cobbled streets. 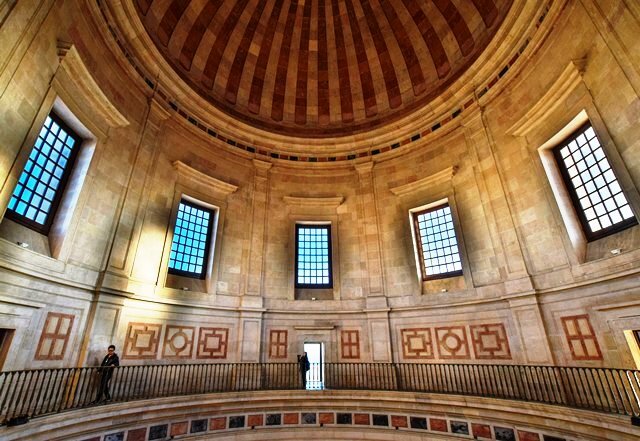 One of the top things to do in Lisbon is to see inside the dome and the expansive view of the city from its top. The 17th century church of Santa Engrácia is designated as the National Pantheon and many of Portugal’s presidents and cultural icons are buried there. The Portuguese are passionate about their food, enjoying long lunches and late night dinners. I learned how to how to eat like a local in Lisbon on a delicious tour with Secret Food Tours. The guide also shared the best places for pastéis de nata, the famous egg custard tarts. Tourists line up for them in Belém, but you should taste test them at Fábrica da Nata and Manteigaria. 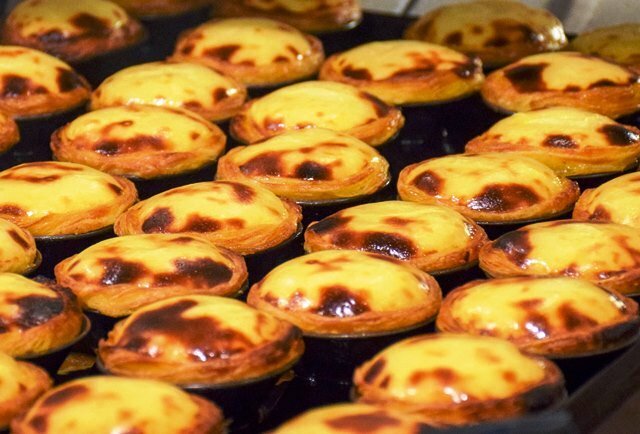 These conduits of custard heaven are pure happiness and without doubt, one of the tastiest things to do in Lisbon. Cindy was my local guide on a memorable visit to Ottawa – read about top sights to see in Ottawa and our visit to Upper Canada Village. Thank you Zoë for the opportunity to share some of my favourite things to do in Lisbon. I’ve fallen for this city, and Portugal in general, and I’m sure you will too! Can’t wait to visit now! Not heard much about Lisbon -like the look of the tram system! This city was one of my late parents favourite destinations. We’ve only been to the Algarve (once) but Lisbon sounds like a great place to visit. Thanks for the article; it was very interesting and the photographs are great as well.